A collection of short stories featuring Edgar Allan Poe’s sleuth C. Auguste Dupin. In “Les Ogres de Montfaucon,” Paris is struck by an epidemic of the Red Death from Poe’s “The Masque of the Red Death.” No date is given for these events. In “Le Vampire de Prague” (“The Vampire of Prague,”) set in 1820, a twenty-year old Dupin hunts a vampire through Europe and meets Dr. Martin Hesselius from J. Sheridan Le Fanu’s “Carmilla.” In “Le Drame de Reichenbach” (“The Drama of Reichenbach,”) set in 1855, Dupin witnesses a duel at the Reichenbach Falls between Giacomo Moriarti, an Italian gentleman, and Sherrinford Holmes, the husband of Cornélia Vernet and father of Mycroft and Sherlock. Holmes accuses Moriarti of seducing his fiancée Cornélia ten years ago, resulting in a son, Jacques, who is being raised by Moriarti in Italy. According to Moriarti, he and Cornélia simply rescued the baby, who was a Parisian foundling, and he adopted him as his son. At the end of the duel, Moriarti falls from a cliff, and Holmes disappears. “Giacomo” is the Italian equivalent of the English name “James,” while “Jacques” is the French version of that name. 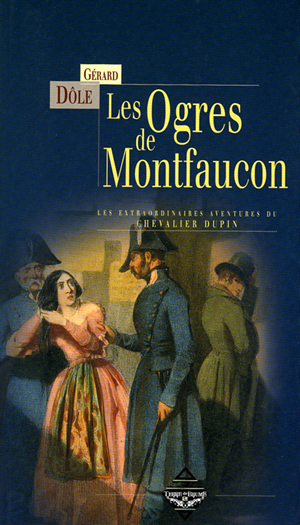 A birthdate of 1800 does not fit with Dupin’s family history as outlined in Tarzan Alive, nor do the genealogies for Sherlock Holmes and Professor Moriarty given by Dôle fit with Farmer’s versions. Therefore, I place these stories in an AU. I have no idea if there's any relation between the two stories. Being a Hellboy story it might have been inspired by a folk story that inspired the Dupin story. Or not. Exactly, how bad is the death toll of the plague in the first story? A really high version would support your placement in of the stories in the AU.